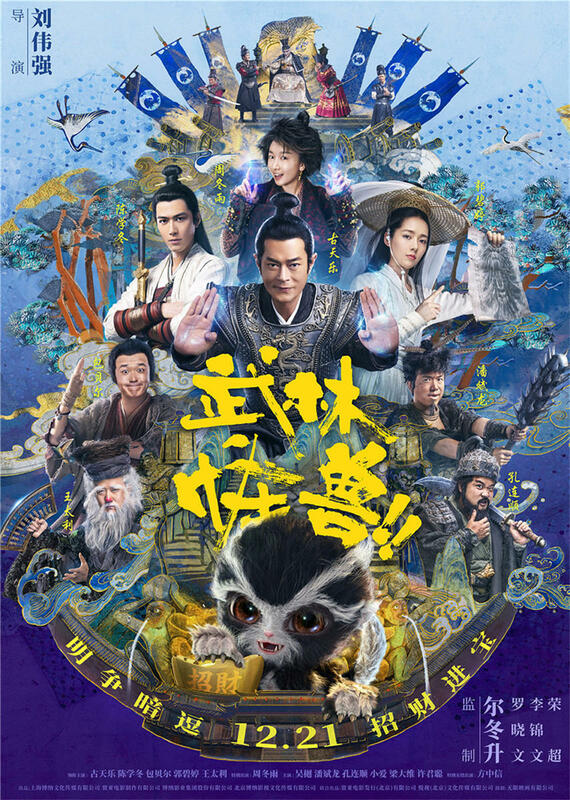 A mix of ‘cute monster’ fantasy a la Monster Hunt and Wu Xia Pian parody, Kung Fu Monster plays mostly like a Wong Jing-style hodge-podge (think Treasure Inn or The Golden Monk, among recent examples), except with bigger stars and more polished CGI. Derek Yee produced the film, but his usually firm guiding hand, coupled with director Andrew Lau’s generally reliable visual flair, yield only a muddled and unfunny chore. The first half-hour is passable, unveiling the stakes slowly and with an enjoyable air of mystery, while dishing out a few fun cameos (Peter Ho, Ken Lo and more) and introducing the talented – yet woefully misused – ensemble. Yet once revealed, these stakes are so insignificant that any narrative momentum is lost, until a stagey, protracted and mildly boring stand-off at the inn. An obsession for cutesy effects doesn’t help (the moon keeps randomly turning into a smiley face), and the humor is resolutely lowbrow. The monster itself is a marvel of cuteness, but its fur is over-rendered to the point that it constantly seem to be underwater (our readers will understand when they see it). The cast is more than the flimsy script deserved, and some were obviously aware of it (Louis Koo and Hayden Kuo are lifeless), while others may have been aware of it but chose not to phone it in: Zhou Dongyu is reliably delightful, Cheney Chen shows a welcome sense of derision, Alex Fong goes full-slimy, and Bao Bei’er has fun as a shifty stranger. Too bad they’re evolving in a vacuum. Sounds like somebody/s took it for a paycheck (or lost a bet)! Oh, at least half of Louis Koo’s yearly roles are pure paychecks..